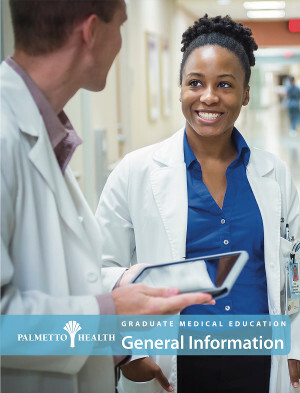 Prisma Health–Midlands, (formerly Palmetto Health) in affiliation with the University of South Carolina School of Medicine, offers 11 fellowship programs in Columbia and one in Sumter. Two other fellowship programs are featured here as well, the USC SOM Department of Family and Preventive Medicine's Global Health Fellowship and the USC SOM Ultrasound Institute's Primary Care Ultrasound Fellowship. Teaching and research attract nationally recognized physicians to Prisma Health. Patients benefit from the latest treatment methods developed from our physicians’ affiliation with national research efforts and from having physicians in the hospital 24 hours a day.